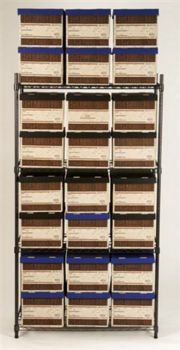 Are you struggling to find space to store your archive boxes? Fortunately, Adco Office Furniture can provide excellent archive shelving that’s suitable for sensitive documents and other important materials. 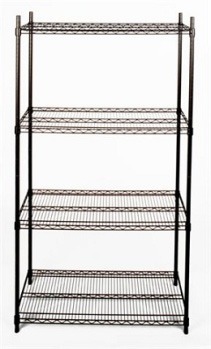 Acerack shelving can help you make more efficient use of limited storage space while ensuring that stored items are easily accessible. If you have dozens of archive boxes lying around and piling up, the archive shelving offered by Adco Office Furniture can help you stay organised. Boasting dimensions of 2025mm high x 1060mm wide x 460mm deep, these shelving units can support 250kg of weight and accommodate up to 24 archive boxes. Our archive shelving is ready to easily assemble in office storage areas, requiring minimal effort and no specialised knowledge. Four adjustable shelves also offer maximum flexibility and versatility, allowing you to store archive boxes as you see fit. Make Adco Office Furniture your first port of call next time you need an archive shelving solution. Give us a call on (03) 9808 4404 or enquire online for more details.